This necklace sparkles but yet isn't so bold as to be overpowering. 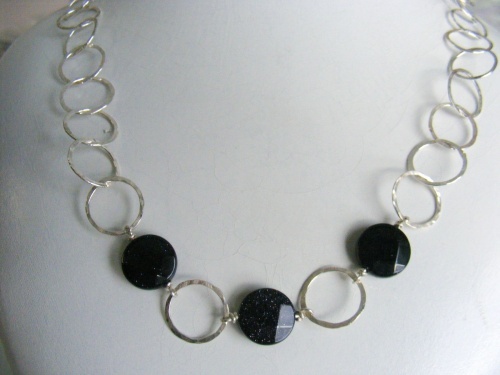 Very pretty blue goldstone faceted stones focal this ringed necklace. I hammered and soldered all the rings and added the stones to give it pop. Necklace is 24" in length and comes with the matching earrings.